Penne is one of the most famous Italian pasta shapes and are loved across Italy. Penne, which means "pen" in Italian, gets its name from its shape. Their tube-shape with angled ends was inspired by the quill of an old style ink pen. Casalare Vegie Penne is infused with tomato powder, spinach powder and beetroot powder to give you extra goodness of vegetables. The large diameter and ridges of Penne make it ideal for retaining sauces on the entire surface, inside and out! 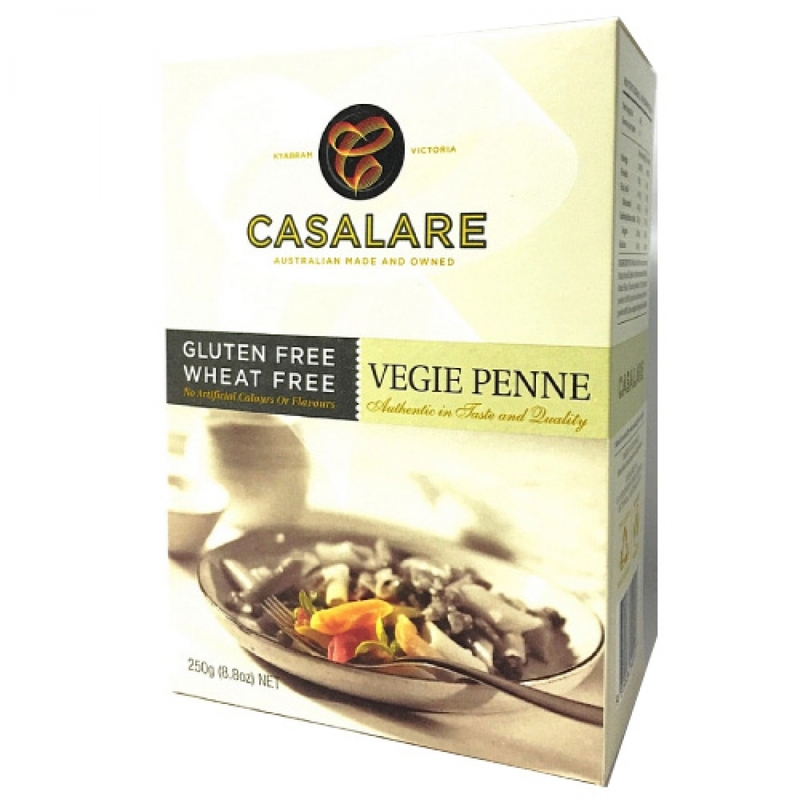 Casalare are an innovative manufacturer of premium gluten-free pasta in all shapes and varieties and gluten-free baking products, and source the best quality grains available in Australia. Casalare certified organic products are accredited with Australian Certified Organic (308P). By purchasing organic foods you will help to protect future generations. Water quality will be maintained and soil erosion prevented. You will also be helping Australian farmers and manufacturers support a true economy. Best of all - you will enjoy food with more flavour!